Scroll through these links to Woolf sightings. Add yours in the Comments section below or send it to bloggingwoolf@yahoo.com. Woolf sightings worth noting and disputing. Sept. 24, 2014. Woolf on the Web. Sept. 3, 2014. Woolf sightings: Weather and war and more. Feb. 23, 2014. Woolf sightings: Starting with Vogue. Feb. 11, 2014. Links to Woolf sightings are also posted to the Virginia Woolf, Author, Community Facebook page on an ongoing basis. Beyond the Icon: Virginia Woolf in Contemporary Fiction by Alice Lowe. London: Cecil Woolf Publishers. 2009. The White Garden: A Novel of Virginia Woolf by Stephanie Barron. Bantam. Sept. 2009. 320p. ISBN 978-0-553-80735-6. $25. Barron (Jane and the Barque of Frailty) introduces Jo Bellamy, whose studies of Woolf’s famous White Garden trigger disturbing questions about Woolf’s suicide. The best-selling author lives near Denver. Read a review. The Machiavellian Minister by Charlie Frémaux. 2009. Read more. 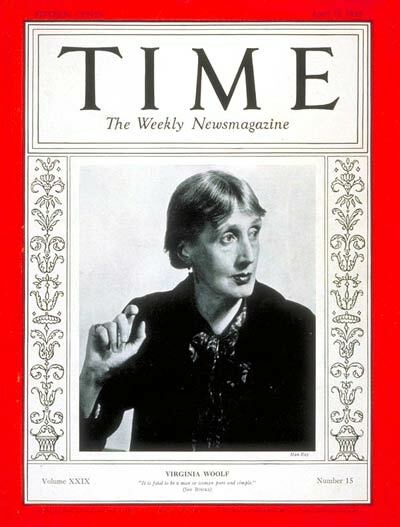 Go here for a listing of references to Woolf in newspapers and magazines available online. “Eminent Victorians” by Princeton includes four Woolf-related tracks. Read more. “Virginia Woolf on Reading” – Book Oven, Jan. 31, 2009. “Seven Questions on Virginia Woolf” – Jacket Copy, Jan. 28, 2009. “Updikes’s Essays and the Virginia Woolf Test” – Neuron Culture, Jan. 28, 2009. “Why I love Virginia Woolf” – Ancient Hebrew Poetry, Jan. 28, 2009. “Orlando,” Arrange Whatever Pieces Come Your Way, Jan. 26, 2009. “Virginia Woolf’s Kitchen” – Mae’s Food Blog, Jan. 26, 2009. “2 Scripts Later, A Woolf PlayMakes its Debut“ – NYT City Room Blog, Jan. 16, 2009. “The Waves behind the scenes“ – TheatreFromScratch, Jan. 6, 2009. “60 in 60: #18 – Woolf’s A Room of One’s Own (Penguin’s Great Ideas)” – Ecstatic Days, Jan. 1, 2009. 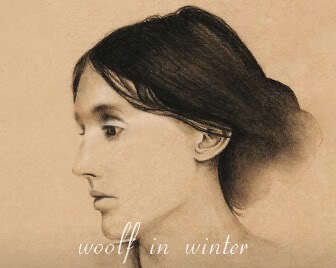 “‘My bread’ – Virginia Woolf” – John Baker’s Blog, Dec. 26, 2009. “Discovering Virginia Woolf” – Spirituality Sparks, Oct. 20, 2008. “Virginia Woolf and Boring Habits by Ilana Simons” – Penguin U.S.A. Blog, Nov. 28, 2007. “Virginia Woolf” – A Feminist Blog, Dec. 26, 2006. “Virginia Woolf, Three Guineas: synopsis, quotes, bibliography” – feminish, July 29, 2006. “The Most Virginia Woolf of SF Writers” – bookslut.com, May 2005. “The Postmodern Animal: The Ground: Virginia Woolf” – Artrift, Oct. 16, 2004. For a glimpse of two actresses’ stage interpretations of Virginia Woolf and Vanessa Bell there’s a clip on youtube. I’d be curious to know what your readers think! guessin she lives in europe. so who even is virginia woolf and why does she talk about herself in third person? We have written and recorded a song called “Virginia.” You can hear it on our myspace site!